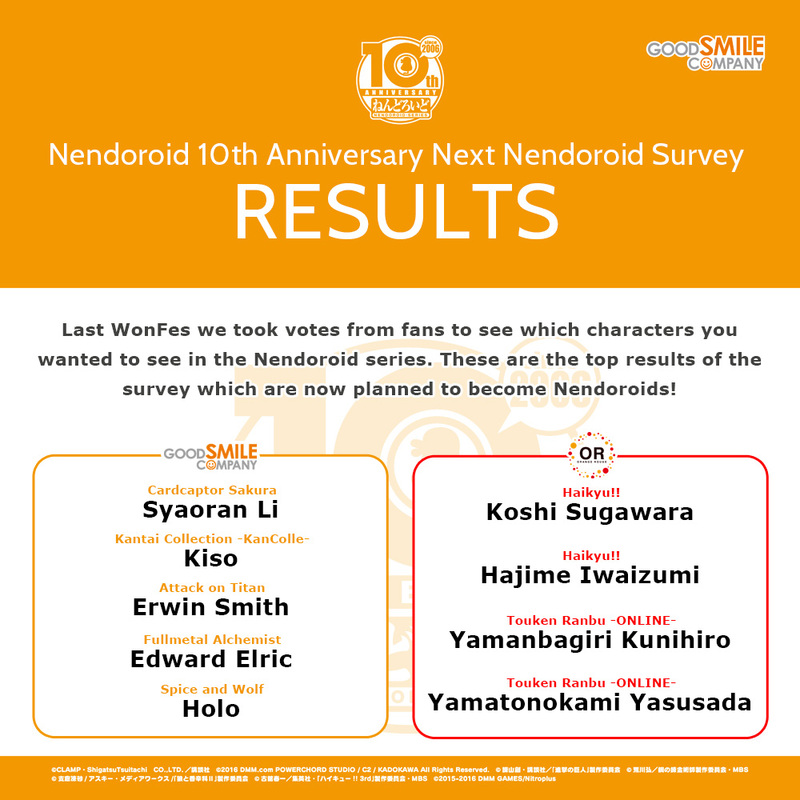 Your Vote Can Help Decide the Next Nendoroid! Submit your vote for the next character or person you would like to see as a Nendoroid! The characters with the highest votes will all be considered, and a winner will be chosen by GSC staff! Be sure to let your opinion be known with a quick vote! Thank you to everyone who submitted their votes. Updates will be published on this site at a later stage! Check back soon! Updates will be published on this website at a later date. This survey may be suspended or cancelled without prior notice. The number of votes alone will not determine the winner. Certain requests are not plausible based on the nature of the product.